Discussion in 'Effects, Pedals, Strings & Things' started by JPMike, Apr 26, 2016. I am trying to achieve Kurt's tone as in this video, at least come close to it. I want to do my take on it but I am not sure how he achieves it. 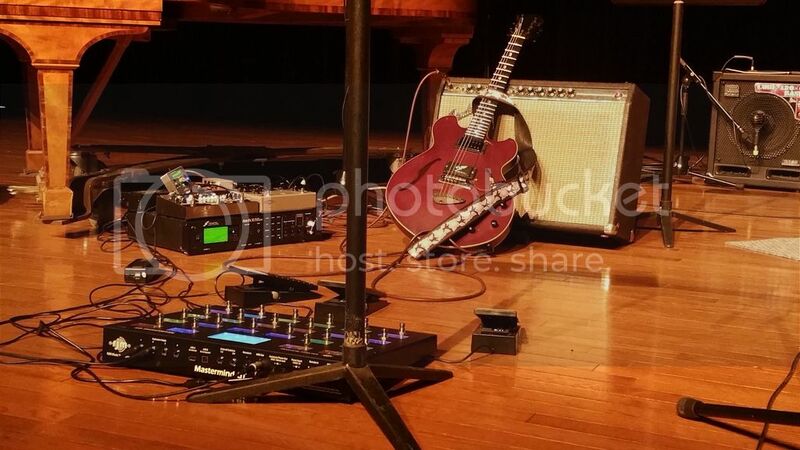 Lately, he uses either an Axe FX or a Kemper but I am curious to find out if this is achievable with pedals. I think, it's like a really small volume swell just to eliminate the pick attack and noise. The rest of the sound seems like a sustained overdriven tone. I know there are a few pedals out there, like the EHX Attack Decay, Boss Slow Gear, Mooer Slow Engine which is a copy of the Boss, I think also Pigtronix Attack Sustain Comp does kinda the same thing. Though I am not sure which one will work best, besides that though size matters. So the Mooer seems the best solution if I can achieve it with that. To me it sounds like, OD, Vol Swell pedal, Delay, Reverb. Maybe compression is added too in the mix? Something else too? If you guys hear more stuff that I can't please feel free to add your input. Also there are more videos where he uses this kinda same tone. Kurt is using an Electro Harmonix HOG for that. It removes the attacks polyphonically, so he can play fast lines. The Slow Gear stuff, including the Malekko and the Attack Sustain, won't allow the fast stuff like that. So yes, he achieves it with one particular pedal. You can also get the same result with the POG, POG2 or HOG2. Thank you so much!! Will check it out!! @jamester - I don't mean people reject the answer on the basis of truth, but instead because they are somehow opposed to using a particular piece of gear. There have been similar topics to this where the questioner rejected the HOG/POG answer and kept asking what else did the polyphonic slow attack, eventually settling on something which didn't.